Will The Backstreet Boys have a Broadway musical? 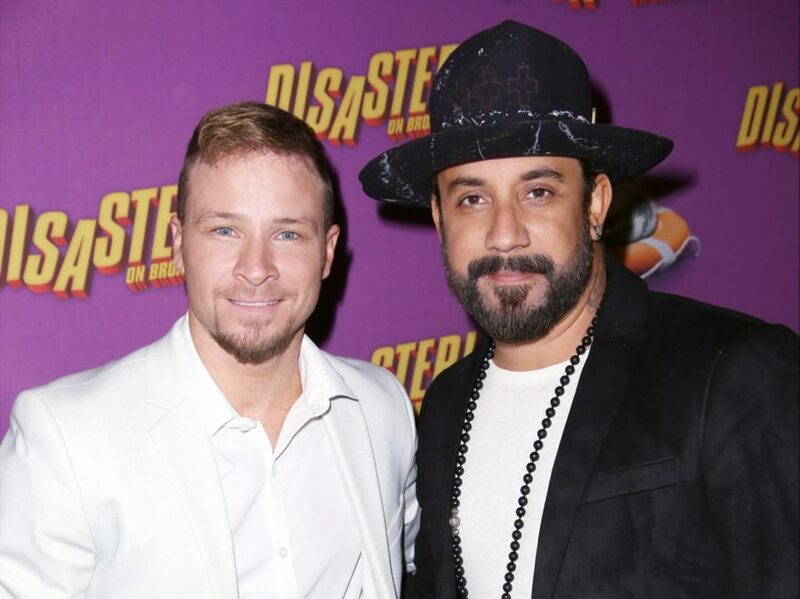 Boy band legends Brian Littrell and A.J. McLean, who stepped out to support Littrell's son Baylee's Broadway debut in Disaster!, say yes. "I’ve been working on a Backstreet Boys Broadway show for four years now," Littrell told Broadway.com. "If you can think of Jersey Boys meets Cirque Du Soleil with Backstreet Boys, that's kind of what I'm looking for." McLean, Littrell, Nick Carter, Kevin Richardson and Howie Dorough formed The Backstreet Boys in 1993, topping the charts with hits like "Quit Playing Games (With My Heart)" and "Everybody [Backstreet's Back]." Still a strong guy group, the Boys will cruise with fans through Europe during BSB Cruise 2016 in May. Backstreet Boy fans would certainly want it that way. Watch Littrell talk with Broadway.com's Beth Stevens about the Backstreet Boys musical below!